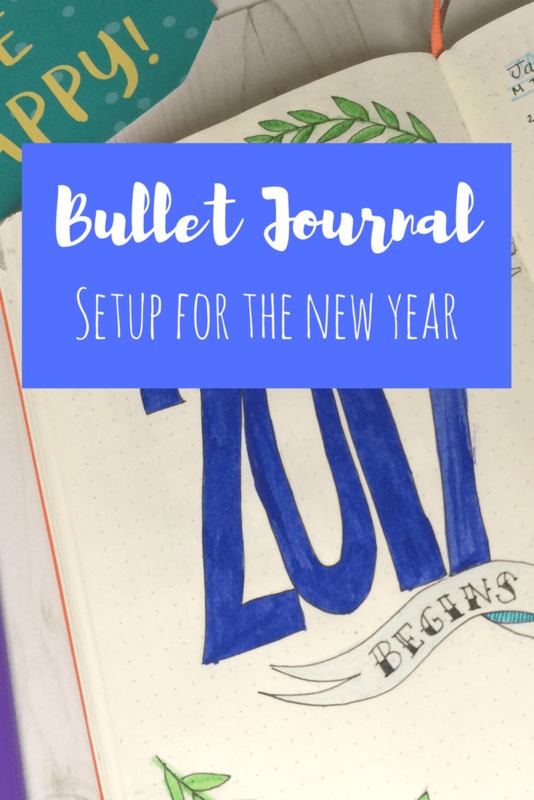 This year will be my first full year using my bullet journal and I’m excited to get started for January. Even though I’m carrying on in the same notebook I’ve been using in 2017 it still feels like a fresh start. In the last few months I’ve started to figure out what does and doesn’t work for me. I went back through my notebook so far and made a list of the things I want to continue using in the new year. 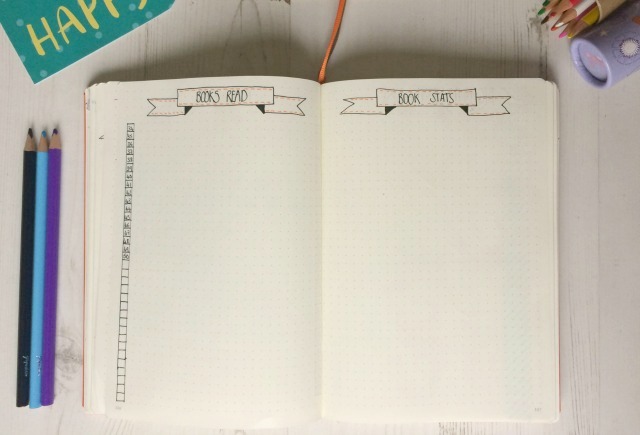 I’ve kept it quite basic but one of the things I love about the bullet journal is you can add different things as you go along. I’ve had a few people ask me what I use so if you are thinking of starting one yourself here is what I have. My notebook is a Leuchtturm 1917 in Orange, I use a Fabel Castell Pen (size small) for pretty much all the writing and grids, I’ve been using it for months and it hasn’t run out yet. I also have these Staedtler Triplus Fineliners for colour, and I just use normal felt tips and pencils for other bits and bobs. I don’t often use it but I do have some washi tape – I’ve used it to cover headers that I have really messed up and I also have a little tippex mouse to hand. A ruler comes in handy and I’m just using my son’s spiderman one! I find all these work perfectly for me but all you really need is a notebook and a pen, there are no right or wrong things to use. I wanted a nice way to mark the new year and I’m a little more confident drawing in my bullet journal now so I’ve done a title page for 2017. I’m not very artistic throughout the journal but these are nice to do if I have the time. It’s followed up by a full year calendar – I find these handy to refer back to and you can easily find printables online if you don’t want to draw one. I’m not great at goal setting but I have put a page in to try and encourage myself to be more proactive. I will try to fill in in! 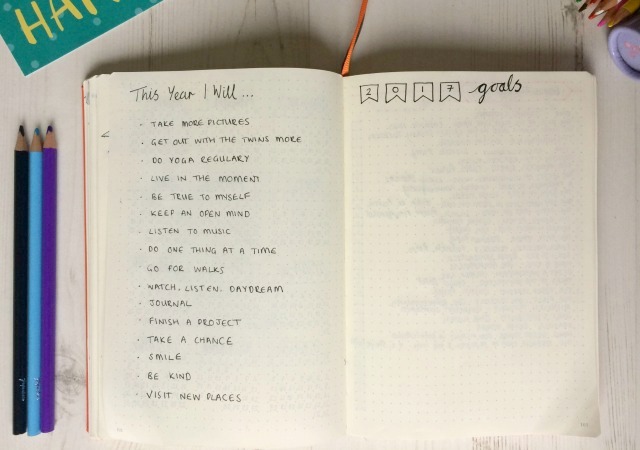 I’ve also added a ‘This year I will page…’ which I’d seen floating around Pinterest. I found this much easier to fill in as it’s more like a little reminder for the year ahead. My book pages are my absolute favourite so I’ve kept them the same for this year – a books to read list, books read and a book statistics page. I haven’t filled that in yet but the last one had gender of author, nationality of author, rating, genre and re-reads. No real purpose to it just that I find it interesting to look back on. 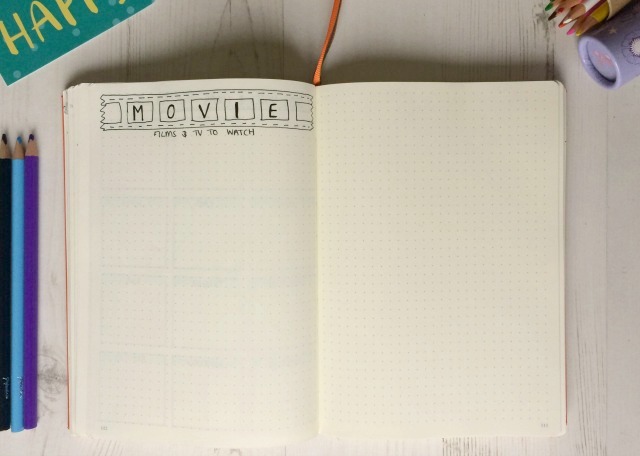 I found this movie spread useful last year so I’ve kept it in. When we fancy watching something we spend forever trawling through Netflix or recordings so this kind of cuts that out. I keep a list of films we want to watch, or shows we’ve been recommended, so that I can just pick something and find it quickly. 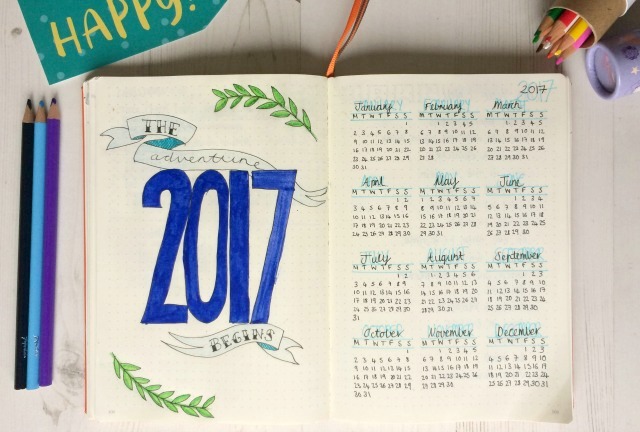 I used all these blogging pages last year but they were all over my journal so now I’ve got them all in one place. 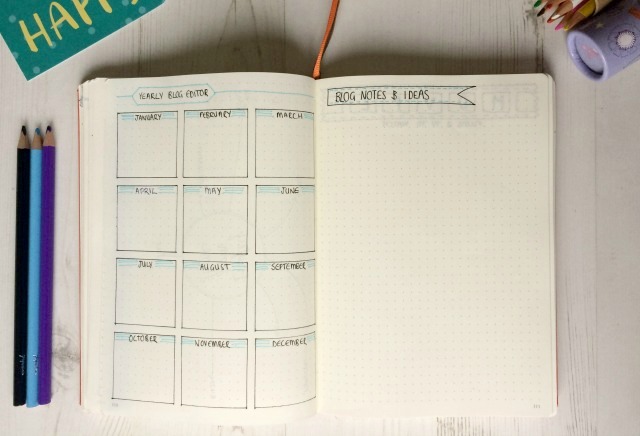 The blog editor is just so I can jot down ideas for the upcoming months then I’ll add them to my monthly blog editor (you can see that here) – the notes and ideas is an extension of that. The big blog to do list is where I keep track of all the blog housekeeping and admin I have to do, even though I rarely get round to it at least it’s all in one place. The mind map is what I use to write down some plans for the coming months. I just write down anything that’s on my mind to do with my blog. I’ve started with a few headers but this page will be full soon. I’m going to set up for January with a monthly calendar and then use dailies as and when I need them. I keep trying out the weekly spreads and trackers but they just don’t work for me. I do want to get a meal plan spread I like and a future log so that’s something I’ll be working on over January. I’m also going to try and do more journalling and writing this year but I’ll write about that in a separate post, I’m excited to start it! That’s my set up for 2017 and I’d love to hear what you are using for planning in the new year. 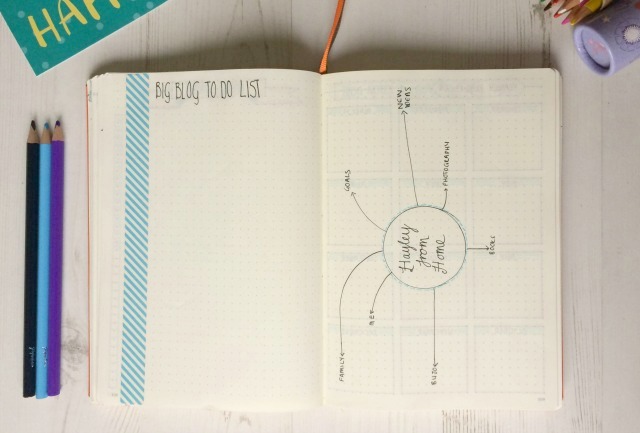 Haha, I love that…brazen organised doodling – yes it would give you a great excuse to doodle and let your mind wander! 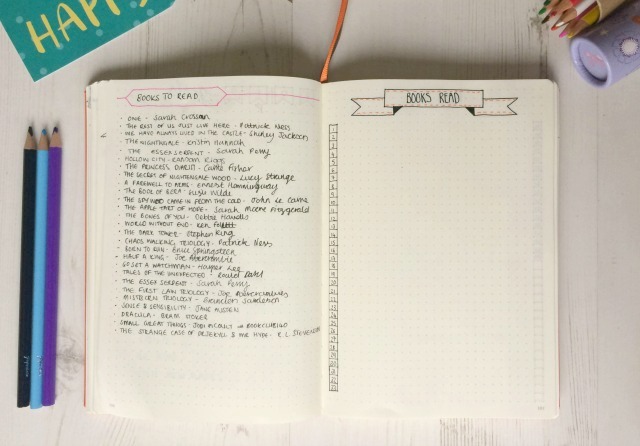 I am so envious of your bullet journal. I’ve tried a couple of times and just can’t get into them, but whenever I see yours I really want to! My mind is now percolating as to how I can bring some of these elements into my own thought journal. The only way it works for me is making it just for me…originally I had so much in it that I’d seen other people doing but I just don’t use it so this is pretty much 100% what I’ll actually use now. A thought journal sounds amazing! I have been only doing mine for about four months but lovely it. I really need to set up 2017 I am so far behind this week with being in America. This has motivating me. Looks lovely hun. Thanks Jenny, I suppose the beauty of it is that you can leave it alone when you’ve got other stuff going up and just pick it up as and when you need it – hope it helps you get going for the new year! Good luck with filling yours up, achieving your goals and getting on with your blog work. Thank you, I find it so useful at the moment – declutters my brain if I use it the right way for me. You were a ground breaking bullet-journaller 20 years ago!!! Haha, my handwriting isn’t great so I tend to print everything but I’m trying to get better. Everyone does it differently which is whats great about it. 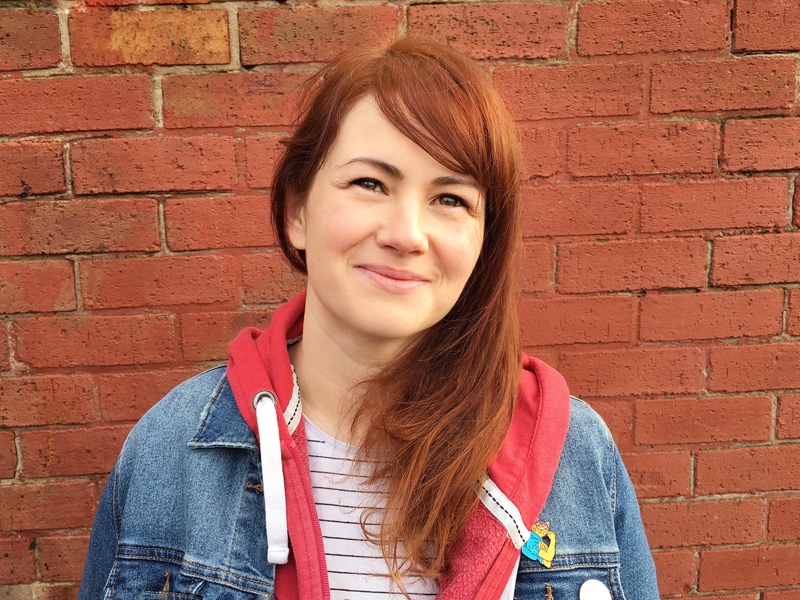 I could never go digital – it just doesn’t work for me, I’ve tried it. I need to physically write things down I think for it to sink in!